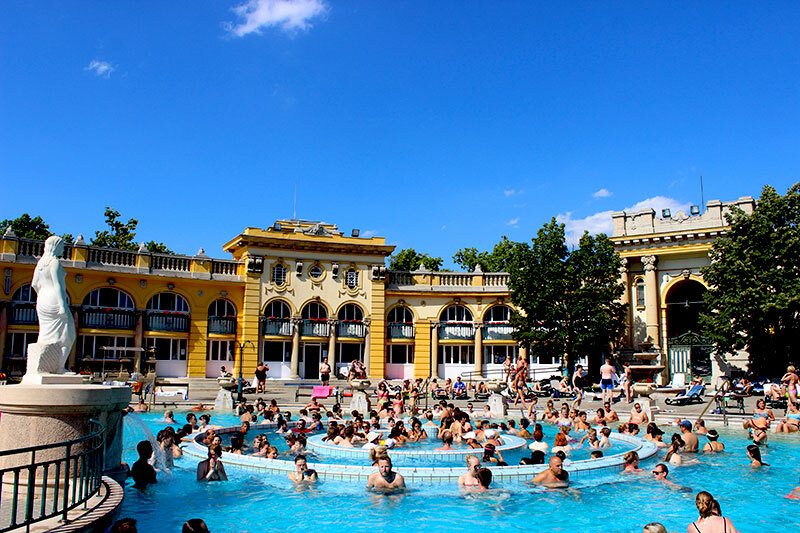 So many people had told us before we headed to Budapest: visit a bath! 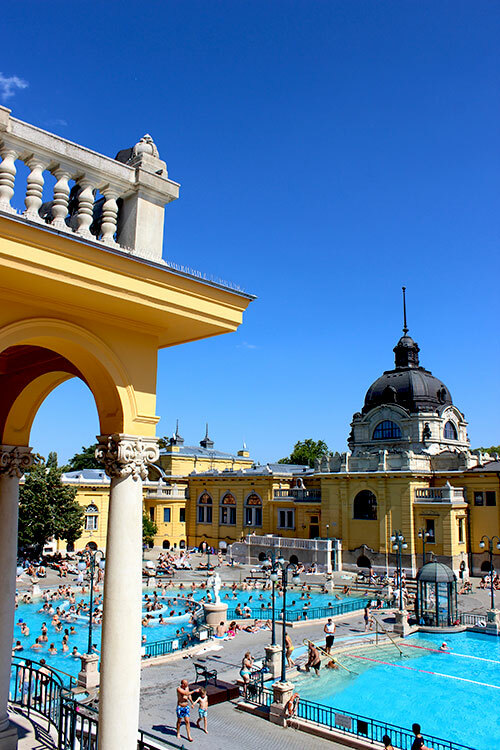 Whatever you do, make sure to visit a thermal bath! 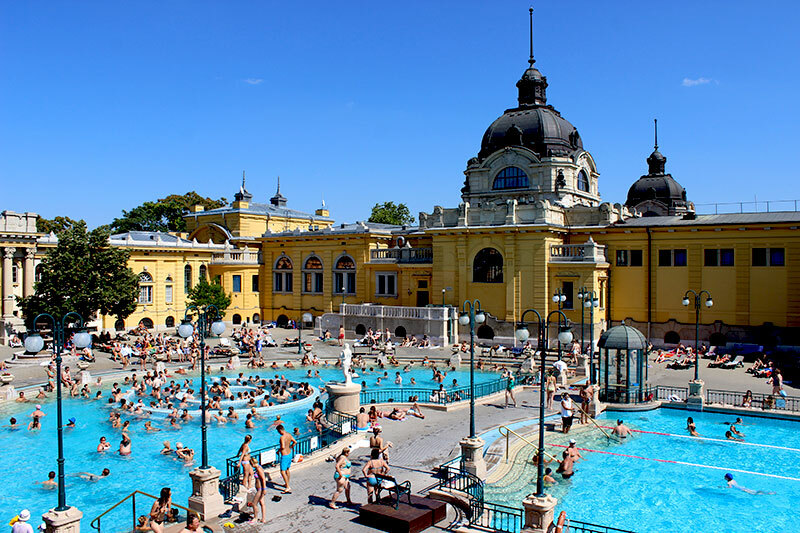 So the compliant girls we are, my friend and I did some more research on the different options of thermal baths in Budapest, and picked Széchenyi Thermal Baths for a visit, due to the beautiful photos we had seen of the place. 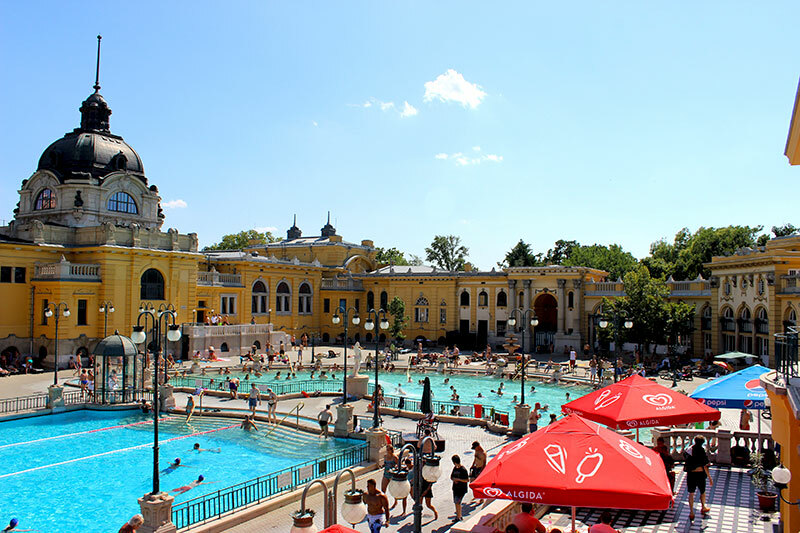 Budapest is famous for it’s baths, because of the thermal springs that are located underneath the city. 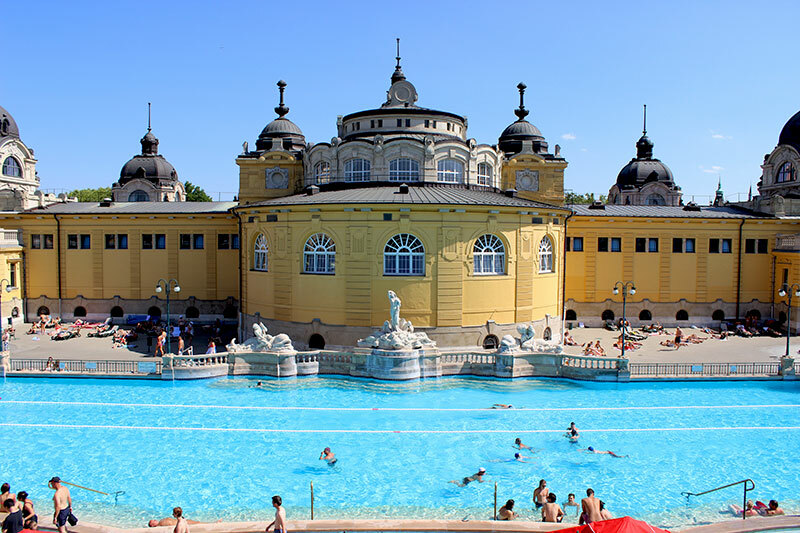 In total there are seven thermal baths scattered around the city of which Széchenyi is the most famous one. 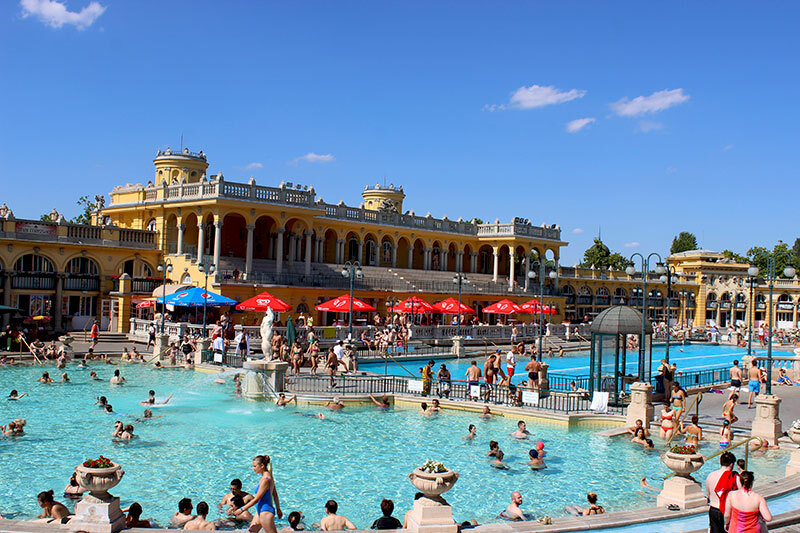 Water with temperatures up to 77 degrees Celsius provide the source for the baths and pools at Széchenyi. 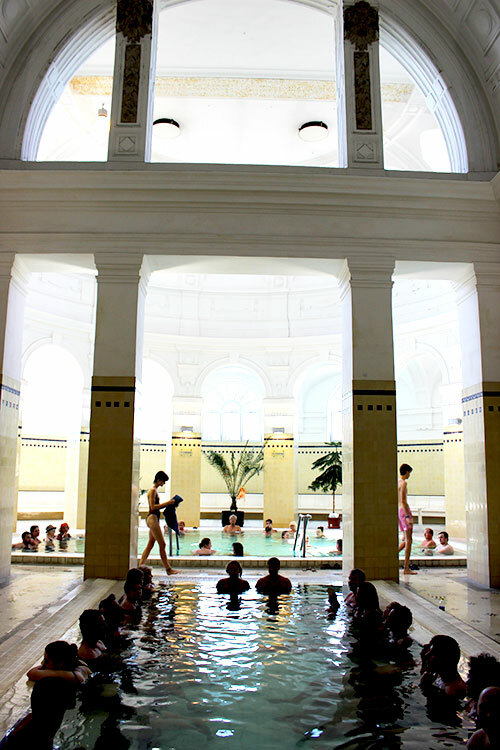 Components of the thermal water have medicinal purposes and can be helpful for people with for example joint illnesses. Since the water directly from the source obviously is too hot to swim in, it gets mixed with cold water. That results in baths with different kind of temperatures ranging up to 40 degrees Celsius. We visited Széchenyi during our first day in the city (read up about day 1 in Budapest here) and immediately we were captivated by the grandness of the place. You have to know that the baths are around since 1913, and the beautiful yellow-colored buildings look grotesque, almost royal even. It’s not hard to imagine that a royal family would have spend some time here during the beginning days. We were able to rent a towel and a cabin, the latter which provided us with enough space to store our luggage safely while we were taking a swim. 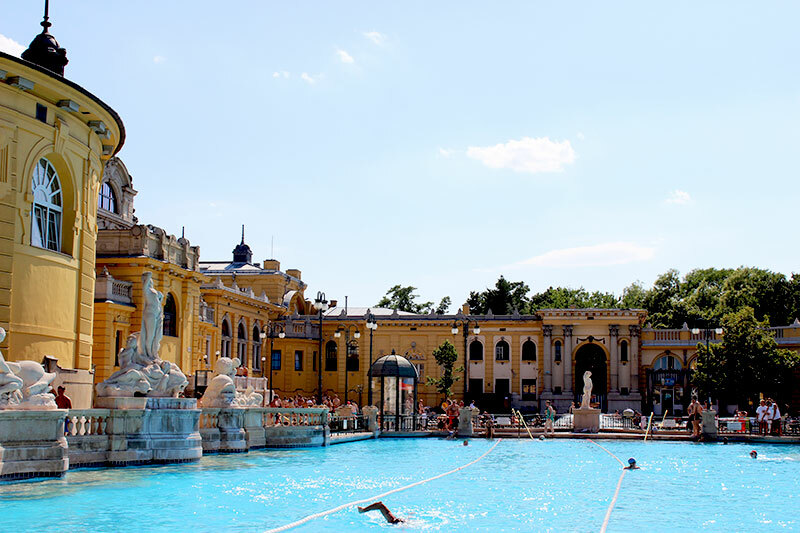 During the tour that was kindly provided to us by Széchenyi Baths, we were told that there are three outdoor pools and 15 (!) indoor pools on the premises, all filled with water of different temperatures. A few of the indoor pools are used during the week by the physiotherapy hospital, offering treatments to patients with all sorts of physical conditions. In addition, there are also saunas and massage rooms onsite for the ones who like to indulge in some extra pampering during their bath visit. 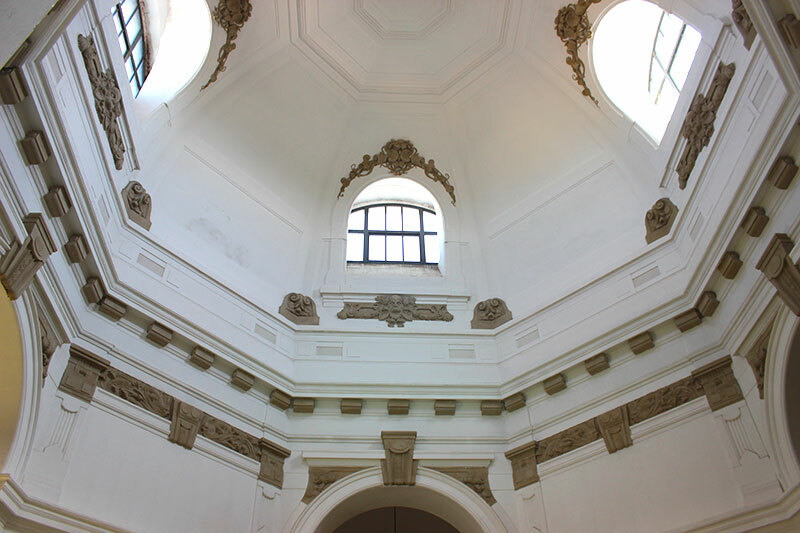 Where we saw the outdoor pools being surrounded by the yellow colored buildings and beautiful stone statues, the indoor pools were decorated almost just as beautifully with high round ceilings and marble-like pillars. After the tour, we draped our rented towels on the stone floor of the outdoor area (a bit hard to lie on to be honest, but we were told that the floor was made of stone for hygienic reasons) and made our way to the pool closest to us. Since the weather was extremely hot that day, we quickly decided on entering the slightly cooler bath instead, which felt absolutely lovely. To know that the water we were swimming in contained so many beneficial components, definitely was a big plus. While walking to the pool on the left, we nodded to the famous ‘chess players:’ a group of men who visits the bath each and every single day for the past twenty years. They are usually engaged in a game of chess (hence the nickname), but were having a chat that day underneath the brightly red parasols. It might have been too hot for them as well? 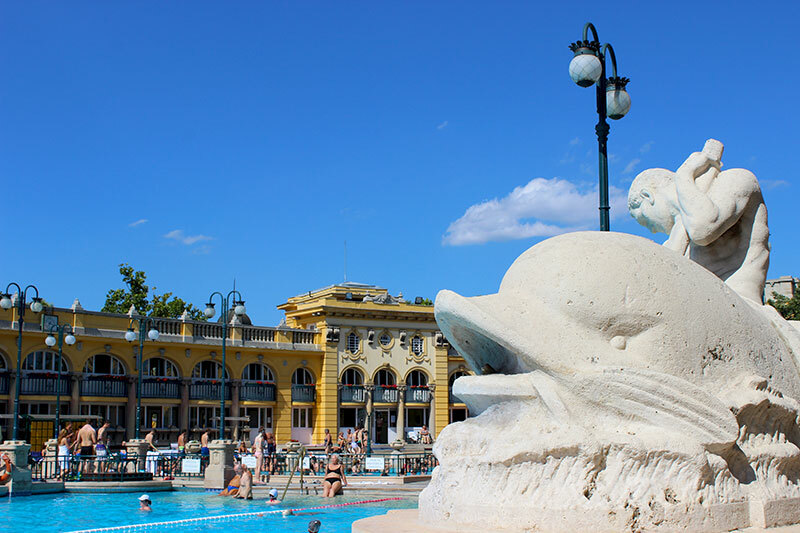 How to get there: The bath is located in City Park, on the Pest side of Budapest. Get off at metro station Széchenyi Furdo for the easiest access. 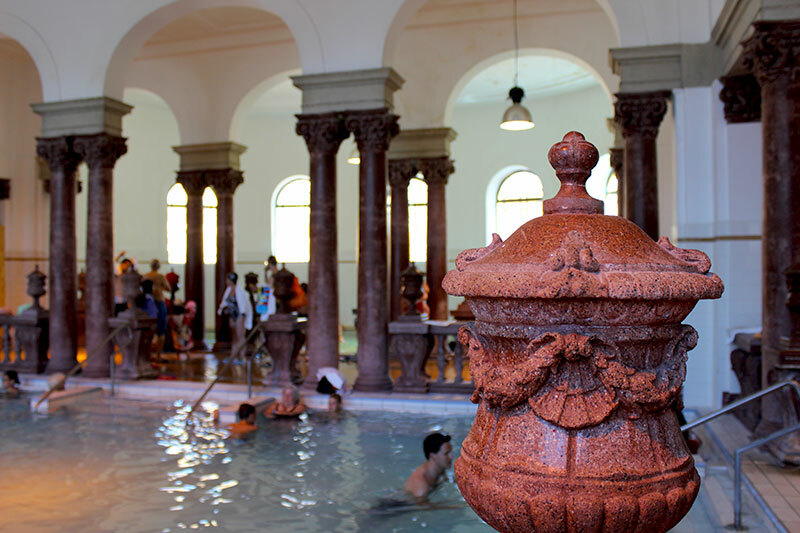 Many thanks to Budapest Spas and Széchenyi Baths for arranging a complimentary visit and a wonderful tour of the baths. 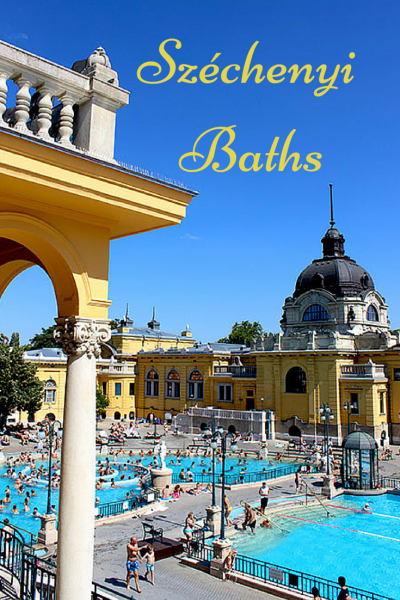 Please visit their websites to acquire more information about the Budapest baths and Széchenyi Bath. Receive 10% discount on your visit with the Budapest Card. Even though this was a sponsored post, all opinions and photos are my own.